Double Picked E Minor Pentatonic Lick - . :Shred Tricks - Shred Guitar Lessons by Eric Maldonado:. 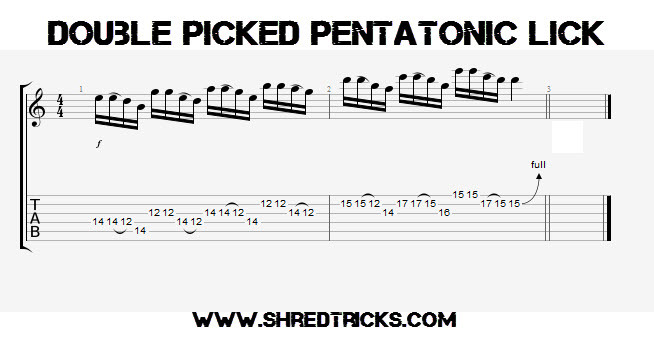 Here is a little double picked pentatonic lick in the style of Slash. This lick is relatively simple and to the point. The only trick is the double picking. Once you get it down, you can fly with this lick in any pentatonic box on the neck.